We have two young grandchildren and are always planning day trips around Pennsylvania, Maryland, Delaware, New York, Ohio, West Virginia and New Jersey to do family-friendly activities. Luckily for us, we can reach most of these areas within 2 1/2 hours to 5 hours of driving time. 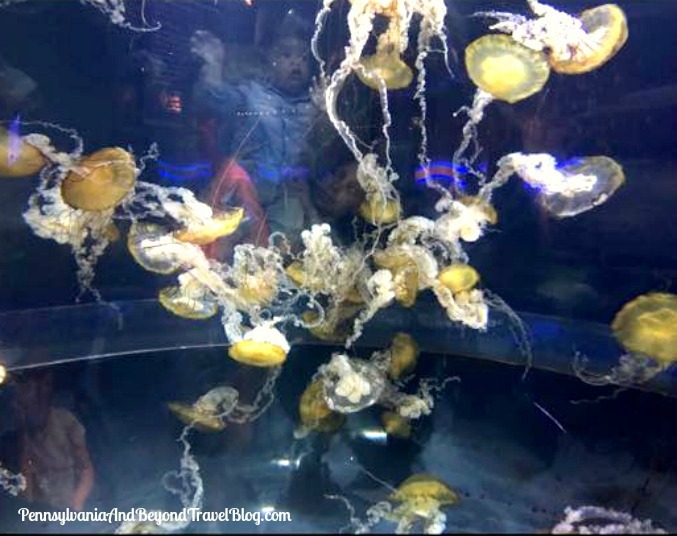 Day trips are really fun to plan with children and they're great for families who are on a travel and vacation budget. When preparing for a day trip, you always want to plan ahead! We check out weather conditions, map out our intended driving route, pack a cooler with food, snacks & beverages and we always pack an overnight bag with pajamas, toiletries and a change of clothes. If anyone is on medications, you'll want to pack those too! You never know if you'll get stuck somewhere and have to stay overnight, so even though we're on a day trip, we like to plan ahead. 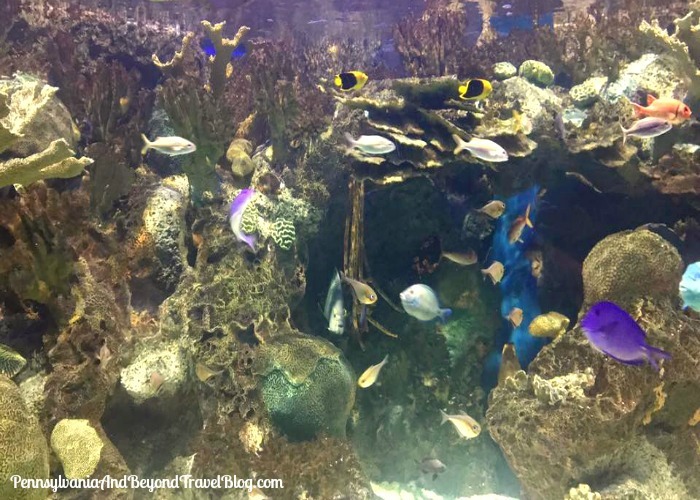 Recently we had the opportunity to visit the Adventure Aquarium. This was our third visit to the aquarium and the second time that we had the opportunity to bring our grandchildren along. We're located in south central Pennsylvania, so it took us about 2 hours and 45 minutes to reach it. Located within minutes from Philadelphia on the Camden waterfront. This aquarium is one of the best one's to visit in the mid-Atlantic states. It's open year-round and they always have special activities and events going on. You can find out their current operating schedule and special event schedule by visiting their website online. 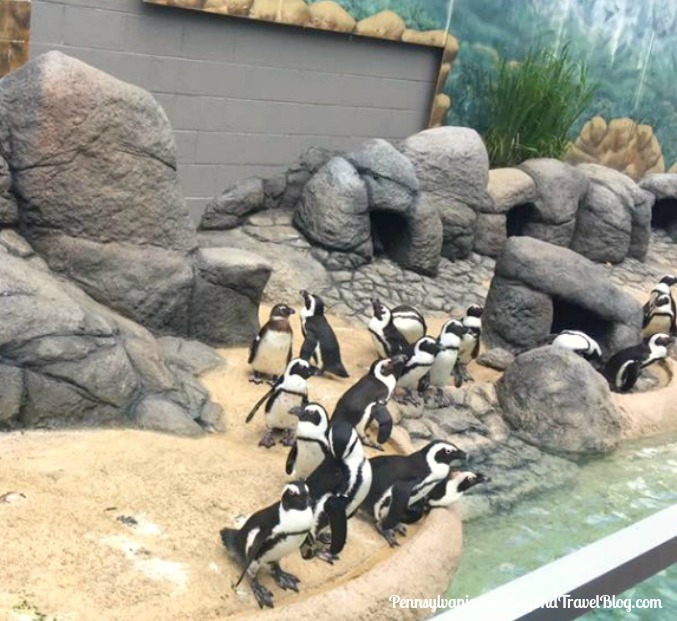 During your visit you'll have the opportunity to see adorable penguins, frogs, sharks, star fish, all kinds of different tropical fish species, crabs, turtles, eels, octopus, seahorses, coastal-shore birds, hippos, sea nettle, jellyfish, stingrays and more! If you love marine life or any type of animal that lives in or near the water, you'll enjoy your visit to the Adventure Aquarium in Camden, New Jersey. One of their newest exhibits is called Piranha Falls. You can visit their website to learn all about the new Piranha Falls attraction. It's a really cool experience that let's you feel like your standing in the middle of the Amazon Rainforest and watching Piranha do their thing! The entire family really enjoyed the "Touch a Shark" exhibit located in Zone A. If you've never touched a shark before, I highly recommend it. In my opinion, their skin felt a lot like fine-grit sandpaper to me! 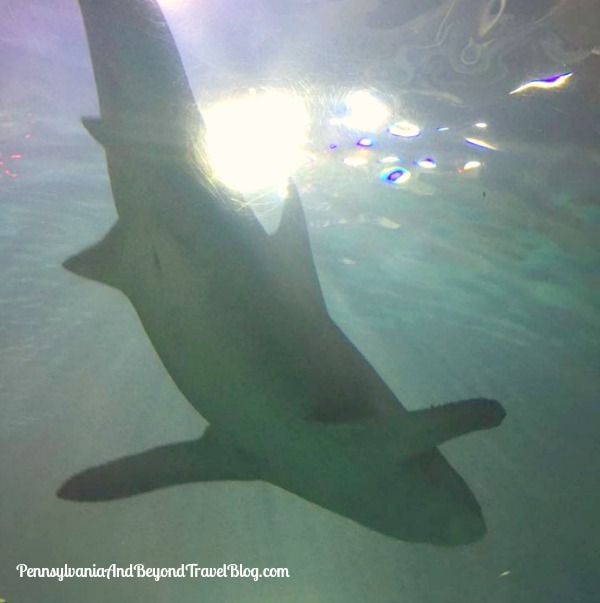 If you have an interest in sharks you can learn all about several different species while visiting the aquarium. By watching the people around me, the shark exhibits seemed to be a big hit with the kids! We really enjoyed our third visit to the Adventure Aquarium in Camden and we are hoping to visit again next year. Every time we go we see or learn something new. From time to time they change around their exhibits and they're always keeping it fresh and exciting for visitors.